On the flip side, booking this dream home takes a bit of work because there is no central location through which all rentals are listed. As you search you will discover many wonderful local booking agencies that promote vacation rentals. Often homes are listed with multiple agencies. To narrow your search, it helps to understand the communities that are available within 30-A. I have found that each community has its own personality. What you choose depends on the needs, dreams and budget of your family. There are many options; I highlight some of the major players below. 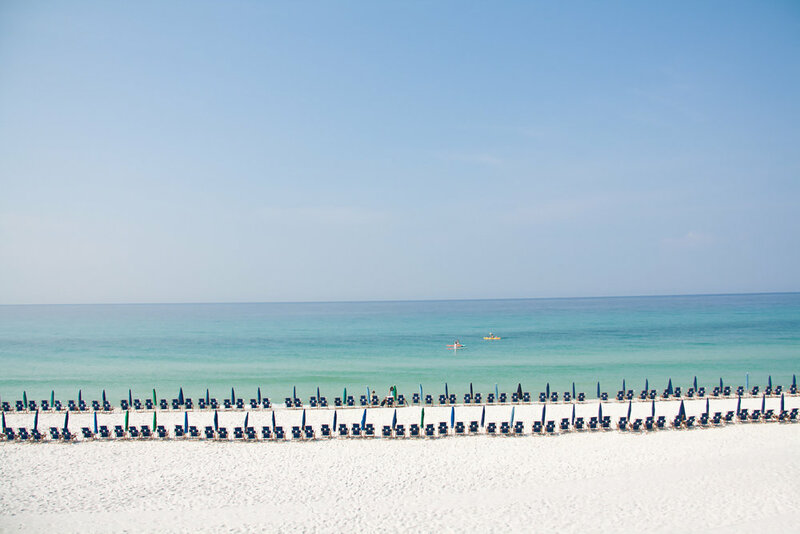 A beautiful beach day in Seaside, Florida. Photo by Chic Travels. Seaside got the party started by being the original planned community on 30-A. Created in 1981, this white picket-fenced, pastel-colored charmer set the standard for vacationing on the scenic highway. The original feeling leaned clean, preppy and architecturally, Southern. The area looked so pitch-perfect that Paramount featured it as the ideal community in the 1998 film, The Truman Show. A detailed account of the history and origins of the Seaside idea can be found in Seaside. As accommodations along 30-A have grown, Seaside has altered its persona. By adding food trucks along the main entrance the vibe has shifted from preppy and clean to bohemian and artsy. Beach access is not privatized at Seaside so it is very easy to move on and off of the beach. Many restaurants and shops are available in the town square. One of my favorites, Perscipacity, sits in the middle. As you make your way into the Seaside resort you will find a beautiful, white chapel tucked in the back of the community. If you are a bride-to-be put this chapel on your list to consider! Seaside is located in the heart of 30-A. Watercolor in the morning, before the crowds. Photo by Chic Travels. Watercolor absorbed Seaside's Southern Preppy persona and gave it it's own twist. This community is stunning. It is characterized by the largeness of its homes and the generosity of its front porches. We comfortably house 16 family members in one rental. An inside glimpse of the houses is documented in the sold out book: 30A Style. The neighborhood has bike paths lined with pines, magnolias, fountains, beautiful landscaping and a bridge that connects the two sides of the property. Pools are scattered throughout. 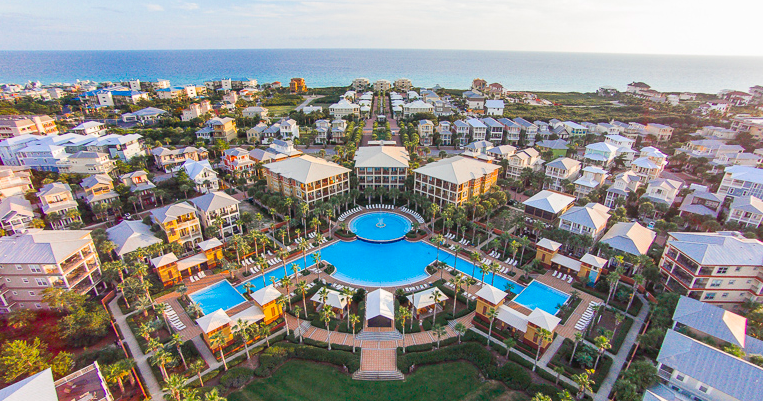 Beach access is private and Watercolor has its largest pool nestled within its main access. The highlight of this pool is the gorgeous beach views. Owned by the same parent company as Watercolor (St. Joe's), Watersound looks and feels similar but is less rental and more residential. This community sits on the Southern side of 30-A (closer to the water). It also sits within Deer Lake State Park which means that ecological preservation of the sand dunes and wildlife is top priority. Laid-back, flip flops and t-shirt vibe. Easy beach access. This is the no-frills version of 30-A. In fact, the neighborhood at Grayton Beach is one of the oldest communities in all of Florida having been founded in 1890. 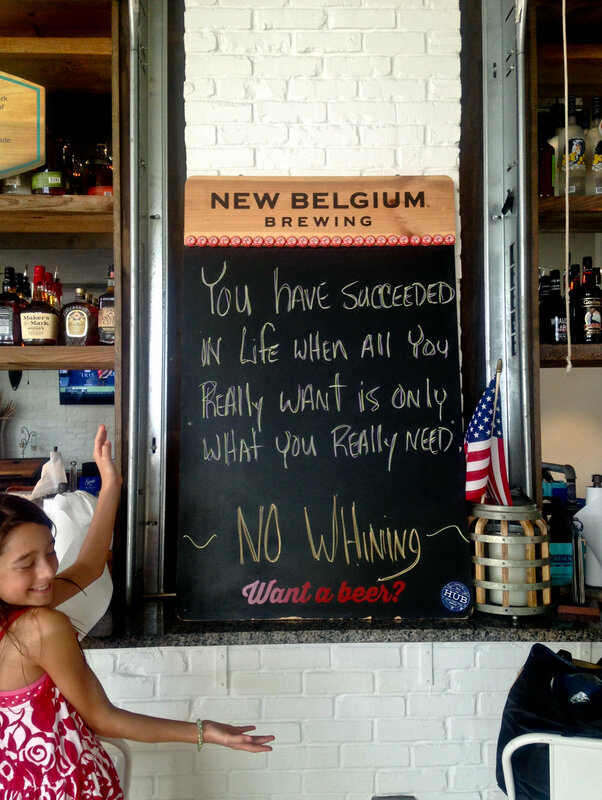 If you're not into the hoop-la and just want to have the beach and your family, Grayton Beach fulfills and delivers. Sashay over to the other communities to hang with the crowds and return here for zen. Prominence offers new rental homes and condos that are well designed and affordable. This community has a lovely pool on the north side of 30-A and offers the HUB, a collection of restaurants and outdoor dining options, to the south. While Prominence offers no beach access, the property is very close to Deer Lake State Park and there is a bus that takes vacationers to the public beach. Alys Beach feels different than the other communities along 30-A. The website indicates that the designers were inspired by Bermudan architecture, but my guess is that they also added a splash of Marrakesh. The community announces its presence with a pristine line of palms and whitewashed buildings. Rentals here are top dollar. Beach access is private. The feeling overall is private, quiet, luxurious. Dine at their pool-side restaurant, Caliza, when you want to dress up! Seacrest offers comfortable condos and some vacation homes in a family-friendly community. They have gorgeous pools and private beach access. Rosemary Beach is 30-A's urban baby. Walkable streets lined with restaurants and shops are visible at ground level. Above, are housing and condos. Larger homes sit independently around the property. Interiors seem sleeker, shinier and more modern. Beach access is private. There are a wide range of accommodations along scenic highway 30A. Findig the best one for you will take some time, but it is worth the effort. Once you have your cottage/condo/home booked, all you have to do is show up and enjoy! Which community appeals most to you? Tell us below!